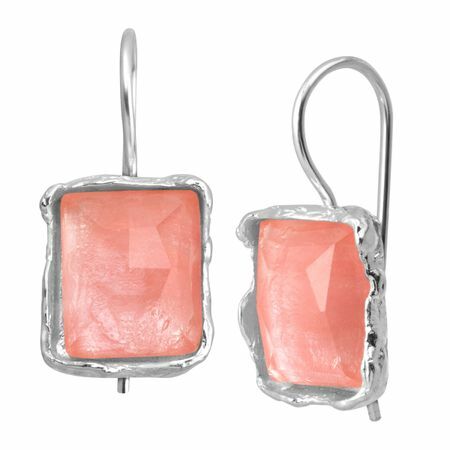 Raw-edge sterling silver and cherry-colored quartz prove it's hip to be square - and lend an offbeat pop of color to your collection. Earrings measure 1 by 1/2 inches and feature French wire back findings. Pieces come with “.925” sterling silver quality stamps as symbols of guaranteed product quality.